A User’s Guide for the Third United Nations Conference on Housing and Sustainable Development (Habitat III). 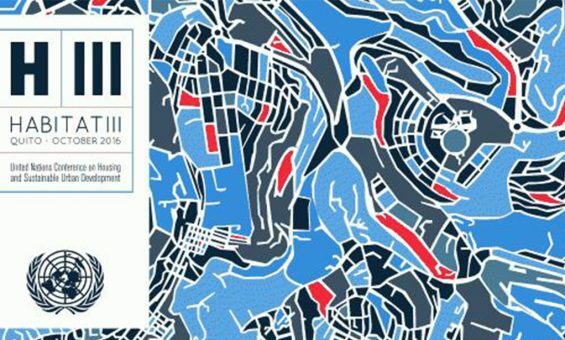 In October, 2016, almost 40 thousand participants from 167 different countries gathered in Quito, Ecuador for the third United Nations Conference on Housing and Sustainable Urban Development, or Habitat III. The conference brought together urban planners, architects, activists, urbanists, NGOs, citizens and representatives of UN member states and culminated in the New Urban Agenda—an outcome document of agreed-upon policies, principles, and commitments for sustainable urbanization in the 21st century. The New Urban Agenda aims to chart a path for urban policy that is inclusive, participatory, and which prioritizes the common good over individual interests. It espouses many of the rights and principles included in the right to the city and envisions cities built for their social function, not for profit. Yet, it is also a non-binding agenda, which is weak on concrete means of implementation and enforcement and promotes a set of broad and at times conflicting priorities. As governments begin to develop and articulate national strategies for achieving the New Urban Agenda’s objectives, it is more important now than ever to evaluate existing government policies, and identify best practices, failures, impacts, and determining political factors underlying government initiatives.The Egyptian government participated in Habitat III and the Ministry of Housing and Urban Communities presented the government’s vision for urbanization in the coming years at various events. 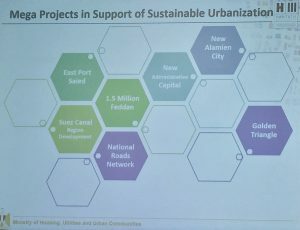 Yet, in these presentations, Egypt offered two very different and seemingly incompatible approaches for managing the country’s urban development challenges: One familiar, heavily grounded in new construction and urban megaprojects, and another that deviated from business as usual and focused on existing urban areas and in-situ upgrading of informal settlements. The divergence between these two approaches raises questions about the gap between Egypt’s outward commitments to the goals and principles of the New Urban Agenda and its actual practices. Are there departments within Egypt’s government promoting different approaches to urban development? Does the government support these two approaches equally when they allocate the national budget? Most importantly, do the commitments that Egypt makes at events like Habitat III make any real difference in the development policies it pursues? Tadamun staff attended these sessions at the Habitat III conference, and here are their observations:On Wednesday, October 18, a representative from the Ministry of Housing, Utilities, and Urban Communities (MHUUC) spoke at an event on “National Development Projects in Support of Sustainable Urbanization” alongside representatives of similar ministries from Sudan, Malaysia, and Iraq. His presentation, titled “Framework for Sustainable Urbanization in Egypt,” laid out a national urban development policy aimed at reducing population density in existing urban areas and “ensuring attraction of people to the project hinterland areas to achieve social justice in the redistribution of population.” The presenter identified what he explained to be Egypt’s most pressing urban national development challenges: (i) the fact that 90% of the population occupies only 7% of the country’s land and (ii) informal urban sprawl. He then introduced a plan to develop 4 million feddans (16.8 million km2) of desert land (1.5 million feddan in phase one of the project) into new desert housing projects and agricultural land. He went on to outline several large-scale desert development projects and new cities: the New Administrative Capital, New Alamein City, and East Port Said. He made no mention of how the proposed mega-projects could help Egypt overcome the national development challenges he identified earlier in the presentation, how they would be more successful than previously failed new cities projects, or how Egypt planned to fund their construction. Instead, he showed a series of artistic renderings of the projects’ expected outcomes. A day after the Ministry of Housing’s presentation on Egypt’s major land reclamation projects, another representative from the Ministry, Dr. Ahmed Darwish spoke alongside representatives from Niger’s Ministry of Housing and GIZ—the German Corporation for International Cooperation (Deutsche Gesellschaft für Internationale Zusammenarbeit or “GIZ” for short), at an event titled “Improved Livelihood Perspectives through Inclusive Slum and Urban Upgrading in Africa.” Dr. Darwish serves as the Deputy Minister of Housing and as the head of the Informal Settlements Development Facility (ISDF). In a clear shift from the tone of the earlier presentation, which placed major land reclamation and new construction projects at the center of Egypt’s urban agenda, Dr. Darwish pinpointed the improvement of existing informal areas as the chief priority of the Ministry’s and the ISDF’s efforts. “The right to adequate, safe, and healthy housing, as well as dignity and social justice, are values enshrined in Egypt’s 2014 Constitution,” Darwish began. He went on to discuss a number of activities—predominantly in-situ upgrading of Cairo’s existing urban areas—that the ISDF and the Ministry of Housing are undertaking in partnership with the German Corporation for International Cooperation (GIZ). This mission of this 49 million Euros joint project, the Participatory Development Programme (PDP), is to achieve the “urban and socio-economic development of informal settlements in co-operation with all stakeholders.” Darwish then identified a number of principles underlying the PDP: spatial justice, participatory planning, inclusive city governance, sustainable community, in-situ development, and transparency—all of which were notably absent from the earlier Ministry of Housing presentation. Together, the ISDF and GIZ carried out ‘participatory needs assessments’ in nine informal settlements to understand the residents’ most immediate housing and service deficits. Based on the findings of these needs assessments, they then implemented over 250 small scale measures including solid waste management improvements (which were conducted jointly with informal waste collectors), infrastructure upgrading in three governorates, and a climate change adaptation policy to bolster resilience to excessive heat. In addition to implementing projects directly, the PDP also awards grants for small and medium-scale projects to improve living conditions, upgrade infrastructure, and support the needs of residents in informal areas, with a focus on marginalized citizens and persons with disabilities. Dr. Darwish then walked the audience through the ISDF’s classifications for unsafe housing. According to the ISDF, there are currently 351 “unsafe” areas in Egypt and approximately 850,000 Egyptians reside in these areas. The ISDF’s stated goal is to eradicate all unsafe areas by 2018. Regarding displacement and relocation, Darwish explained that the ISDF is only removing residents from their homes when it is absolutely necessary, and that when it is, they make every effort to relocate them as close to home as possible. Dr. Darwish then closed by briefly outlining Egypt’s ‘National Strategy’ for informal settlements and showed a short film on the ISDF’s current projects in ‘unsafe’ areas. These two presentations, both given by representatives of Egypt’s Ministry of Housing sent to Habitat III to represent their government, touch upon two very different, and in many ways conflicting, models for urban policy. Major land reclamation and desert development projects, like the new administrative capital project, ignore existing urban areas and the vast sector of the Egyptian population who live in them. 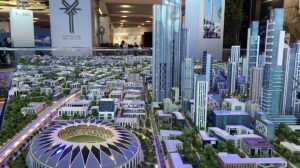 These mega-projects have been the dominant approach in Egypt for decades, and have been largely unsuccessful. In-situ upgrading projects, like the Participatory Development Programme, on the other hand, place residents and urban areas, with all their challenges at the center of development efforts. Where does the New Urban Agenda stand on the perspectives and principles informing these different approaches? New Urban Agenda111. “We will promote the development of adequate and enforceable regulations in the housing sector, including, as applicable, resilient building codes, standards, development permits, land use by-laws and ordinances, and planning regulations; combating and preventing speculation, displacement, homelessness and arbitrary forced evictions; and ensuring sustainability, quality, affordability, health, safety, accessibility, energy and resource efficiency, and resilience” (United Nations General Assembly 2016, 15). The New Urban Agenda does recognize the role of the private sector in urban development and the use of land for economic profit, but within the context of a system of specialized land use policy to prevent the disastrous impact of the kind of deregulated real estate market that Egypt, for example, has developed. It promotes practices to share and distribute the benefits of land value increases and cautions against solely private capture of land profits. 137. “We will promote best practices to capture and share the increase in land and property value generated as a result of urban development processes, infrastructure projects and public investments. Measures such as gains-related fiscal policies could be put in place, as appropriate, to prevent its solely private capture, as well as land and real estate speculation. We will reinforce the link between fiscal systems and urban planning, as well as urban management tools, including land market regulations. We will work to ensure that efforts to generate land-based finance do not result in unsustainable land use and consumption” (United Nations General Assembly 2016, 18). In this context, Egypt’s continued focus on mega-projects and profit-driven real estate enterprises as the foundation of its urban development policy is at odds with the commitments it made by signing on to the New Urban Agenda at Habitat III. 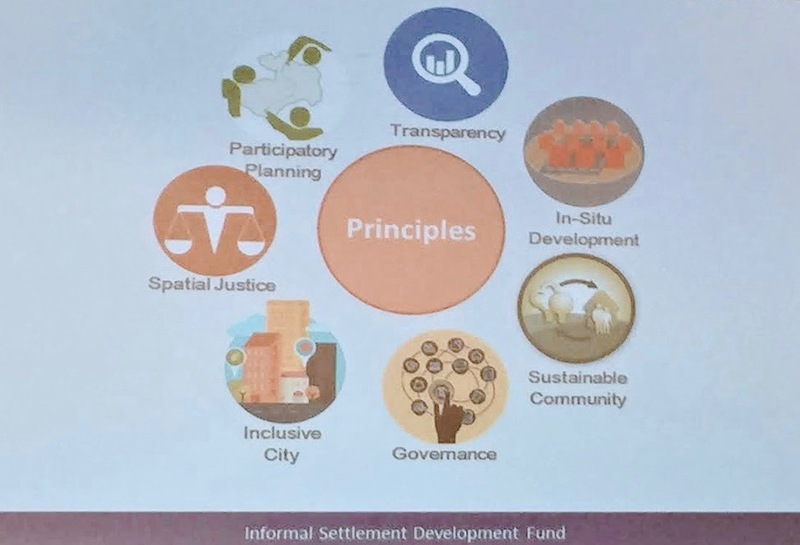 Projects like the Participatory Development Programme and its various initiatives, by comparison, exemplify many of the guiding principles the New Urban Agenda identifies as the foundation for sound, socially just and sustainable urban policy. It prioritizes the needs and interests of underserved and marginalized communities, promotes the participation of all stakeholders in the planning, implementation, and execution of initiatives, and emphasizes the value of land for its social rather than profit function. (a) Fulfil their social function, including the social and ecological function of land, with a view to progressively achieving the full realization of the right to adequate housing as a component of the right to an adequate standard of living, without discrimination, universal access to safe and affordable drinking water and sanitation, as well as equal access for all to public goods and quality services in areas such as food security and nutrition, health, education, infrastructure, mobility and transportation, energy, air quality and livelihoods” (United Nations General Assembly 2016, 4). Not only is Egypt’s continued focus on mega-projects and profit-driven real estate enterprises at odds with many of the guiding principles of the New Urban Agenda, but it is also a largely failed policy model. Projects like the new capital do little to nothing to help Egypt’s most underserved and marginalized communities. Instead, they monopolize budgetary allocations and encourage speculation. State-planned communities (known as New Urban Communities or NUCs) have been unable to attract and retain residents, housing costs have skyrocketed, and inadequate living conditions persist in Cairo’s underserved and growing informal areas. (For more information, see TADAMUN 2015, “Egypt’s New Cities: Neither Just nor Efficient”). 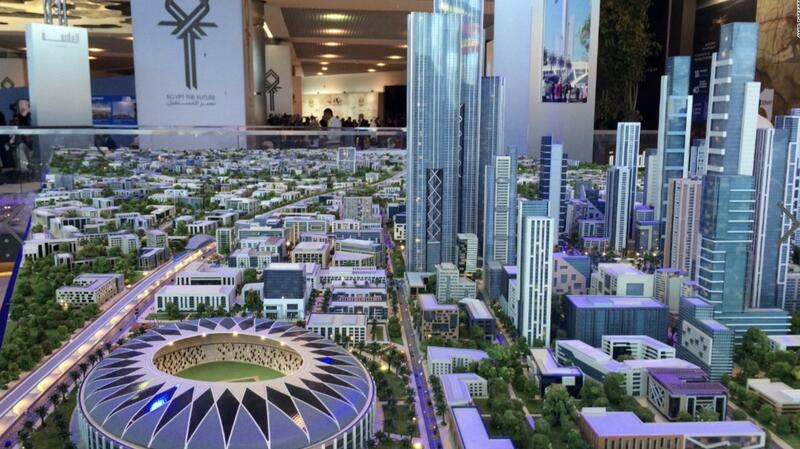 Image 3: Model of Egypt’s multi-billion dollar New Capital project on display during the project’s announcement in Sharm el Sheikh in 2015. (Source: Monks, Kieron. 2016. “Egypt is Getting a New Capital Courtesy of China.” Cnn.com). Despite the outward support that the government expressed at Habitat III for in-situ upgrading models, actual government budget expenditures belie a clear and overwhelming institutional preference for new construction and desert expansion projects. In their analysis of Egypt’s 2015/16 built environment budget, 10tooba found that 30% of the FY 2015/16 built environment budget is allocated to 31 New Cities, which are home to only 2% of Egypt’s population. This translates to 15,537 EGP per person. In comparison, 29% of the built environment budget is spent in existing areas (over 200 cities and 4,000 villages), where 98% of people live, resulting in a per capita spending of only 322 EGP (Khalil and Shawkat 2016). Egypt’s new construction projects have also attracted massive funding from foreign investors. The government launched the first phase of the new administrative capital project in March 2015 with a projected cost of US $45 billion. The China Fortune and Land Development Company pledged US $20 billion, following a previous investment of US $15 billion from another Chinese state-owned company, covering US $35 billion of the US $45 billion needed to complete phase one of the project (Osborne 2016). The project’s official website declares that the construction of the new capital will include 1.1 million residential units, 1.75 million permanent jobs, and has a target population of 5 million. The project also includes plans for an airport larger than Heathrow, soaring skyscrapers, a park twice the size of Central Park, and an amusement park to rival Disneyland. Construction of the new capital project is underway amid concerns that this ambitious plan will share the same fate as Egypt’s other building projects in the desert around Cairo and end up as another ghost town rather than the envisioned thriving metropolis (Kirk 2016). By comparison, projects like the Participatory Development Program, which focus on in-situ upgrading of existing urban areas receive a fraction of the budget that construction in new cities does. External donors (German Federal Ministry for Economic Cooperation and Development, the European Union, the Bill and Melinda Gates Foundation) largely fund the PDP’s current budget of 49 million Euros. Desert expansion mega projects certainly dominate Egypt’s budget expenditures, but that is not to say that support for in-situ upgrading of existing urban areas is completely absent in Egypt’s urban policy arena. There has been evidence of some, albeit small, positive policy preference shifts occurring in certain government departments over the past two years. For example, the ISDF consulted local urbanists – including Tadamun – when preparing its unsafe and unplanned areas upgrading strategy and has been recently exhibiting a preference for in-situ development over the former dominant approach of relocating residents far from their original neighborhoods. Similarly, the Cairo Governorate is currently preparing its own strategy for dealing with informal areas that promotes in-situ development within the city, in consultation with other governmental entities such as the Ministry of Housing. Recent in-situ development programs like the Asmarat housing project, the upgrading of Al-Shahba area in Manshiyyit Nasir, or the ISDF’s project in Tal Al-`Aqareb in historic Cairo, further demonstrate this point. So, why haven’t in-situ upgrading policies been scaled up and mainstreamed? First, and perhaps most importantly, major real estate and construction projects generate significant funds (often from foreign investors) and building contracts to be distributed among powerful and influential stakeholders. Building new cities employs Egyptians, provides contracts to a range of economic sectors, and contributes to Egypt’s economic growth, which are important to attracting continued foreign investment. Whether or not such endeavors succeed in meeting urban challenges (they often don’t), many are poised to benefit from them. Another key factor is that institutional instability and the hierarchical nature of the government’s institutional structure makes it difficult for individual policy makers to challenge existing policy practices. The ISDF, for example, has been moved multiple times to a number of different ministries. It is now part of the Ministry of Housing, but the ISDF may not be strong enough or have enough resources to counter the Ministry’s commitment to build new cities or new capitals. Now that Habitat III has ended and Egypt has signed the New Urban Agenda, does this commitment offer any incentives or create any pressure for states to pursue urban policy frameworks and initiatives that align with the New Urban Agenda’s guiding principles and priorities? As mentioned already, the New Urban Agenda is a non-binding agreement. It is a political document that ultimately relies on self-reporting to gauge national progress towards achieving its objectives. However, it represents a commitment nonetheless. It shares many of the same priorities as the Sustainable Development Goals and along with the Paris Climate Agreement is a major pillar of the 2030 Agenda. The New Urban Agenda, on its own, may not have the power to compel states to overhaul their existing policy structures, but it has certainly created an environment of increased scrutiny over urban policy interventions at all levels. It has also provided a common platform upon which advocates of responsible urbanism may advocate for sound urban interventions. As governments begin to develop and implement national strategies aimed at achieving objectives laid out in the major international processes comprising the 2030 Agenda, they will most certainly devote more attention to those agreements with stronger review processes, i.e. the Sustainable Development Goals and the Paris Climate Agreement (COP 21). Reinforcing the linkages between the New Urban Agenda and other politically stronger agendas will be key to ensuring that urban issues gain attention from the mobilization around the SDGs. Holding governments accountable to the commitments they made by signing on to one or all three of these processes (Egypt is a signatory of all three) will require a detailed understanding of governments’ previous and ongoing urbanization interventions and policy efforts, their successes and failures. This means applying a constant and critical eye to government policies, their impacts, beneficiaries, funding mechanisms, and political and social foundations and consequences. Policymakers, civil society, citizens, international organizations–anyone with a stake in sustainable urbanization–will need to gather and disseminate reliable, disaggregated local data to evaluate needs and service provision and infrastructure deficiencies at the local level, identify bad policies and best practices, and pinpoint obstacles to sound urban policy initiatives where they exist. Tadamun, for example, is working to help develop and encourage more inclusive, equitable, pragmatic, and innovative practices and policies to realize the goals included within the New Urban Agenda, and other major policy processes like the Sustainable Development Goals. In Egypt, this means looking beyond technical considerations of calculations like population density and GDP and considering the political underpinnings of an urban policy that has failed for the last 30 years. It means questioning why the government is channeling so many resources into an initiative that is unlikely to meet the objectives of sustainable urbanization? How will funneling billions of dollars into a high modernist, extravagant new capital city address the needs of those living in Cairo, up to a third of whom live in households deprived of such basic necessities as safe water and sanitation? Egypt seems intent upon continuing with the mega-project and desert development model. Throughout the process of developing and articulating urbanization plans in the coming years, civil society, urbanists, and all those with a stake in Egypt’s urban future should monitor and analyze the true impact and political foundations of such policies. 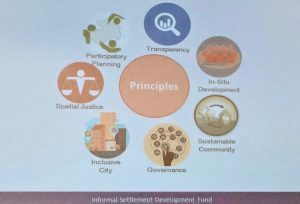 Tadamun and others should encourage the adoption of mechanisms to help mitigate the damaging effects these projects may have on housing affordability and urban inclusiveness and encourage policies to limit speculative investing, keep housing prices down, and reinvest profits from land development into social housing and informal settlement upgrading. They should also encourage the expansion of projects like the Participatory Development Programme, and pressure the government to incorporate similar initiatives into its own institutional preferences. Al-Aees, Shaimaa (2016). “Egypt Invests EGP 43bn in Real Estate Sector over 30 Months: Housing Minister.” Daily News Egypt. 31 October. Accessed 12 November, 2016. Khalil, Amira and Yahia Shawkat (2016), “The Built Environment Budget FY 2015/16: An Analysis of Spatial Justice in Egypt.” 10tooba.org. June. Accessed 15 November, 2016. Kirk, Mimi (2016). “Egypt’s Government Wants Out of Its Ancient Capital.” Citylab. 13 October. Accessed 12 November, 2016. Osborne, Samuel (2016). “Chinese Developers to Build Egypt’s New Capital City.” Independent UK. 11 October. Accessed 12 November, 2016. Participatory Development Programme in Urban Areas, (2016). “GIZ supports the Egyptian Delegation Participation in The Third United Nations Conference on Housing and Sustainable Urban Development (Habitat III).” Egypt-Urban.net (PDP official website). 10 November. Accessed 14 November, 2016. Shawkat, Yahia (2015). “Egypt’s Deregulated Property Market: A Crisis of Affordability.” Middle East Institute. 5 May. Accessed 12 November, 2016. United Nations General Assembly (2016). “Outcome document of the United Nations Conference on Housing and Sustainable Urban Development (Habitat III).” 29 September. Accessed 12 November, 2016.